Reduction in risk for range of critical outcomes greatest for daily dietary fiber intake of 25 to 29 g.
(HealthDay News) — High intake of fiber is associated with a reduced risk for several noncommunicable diseases (NCDs), according to research published online in the The Lancet. Andrew Reynolds, PhD, from the University of Otago in New Zealand, and colleagues conducted a series of systematic reviews and meta-analyses of prospective studies and randomized trials that evaluated indicators of carbohydrate quality and NCD incidence, mortality, and risk factors. Data were included for nearly 135 million person-years from 185 prospective studies and 4635 adults from 58 clinical trials. The researchers found that compared with the lowest consumers, the highest dietary fiber consumers had a 15 to 30% decrease in all-cause and cardiovascular-related mortality as well as a decrease in incidence of coronary heart disease, stroke incidence and mortality, type 2 diabetes, and colorectal cancer. Clinical trials showed significantly lower body weight, systolic blood pressure, and total cholesterol with higher versus lower intakes of dietary fiber. With a daily intake of dietary fiber of 25 to 29 g, the risk reduction associated with a range of critical outcomes was greatest. 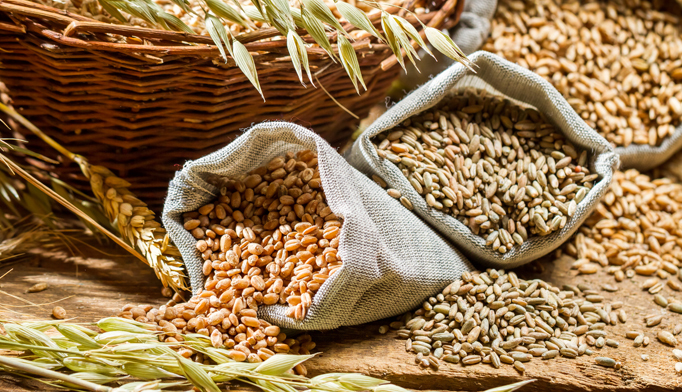 Higher intakes of dietary fiber could confer even greater benefit to protect against cardiovascular diseases, type 2 diabetes, and colorectal and breast cancer, according to the researchers. The findings for whole grain intake were similar.